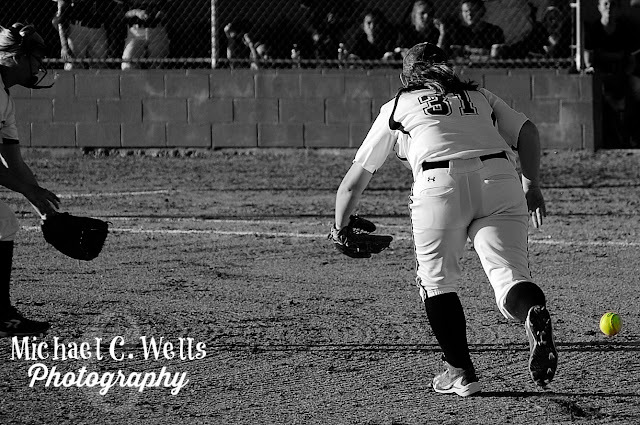 The game was scoreless heading into the 4th inning. Both teams had recorded 2 hits and came close to scoring, but neither was able to break through the others strong defense. 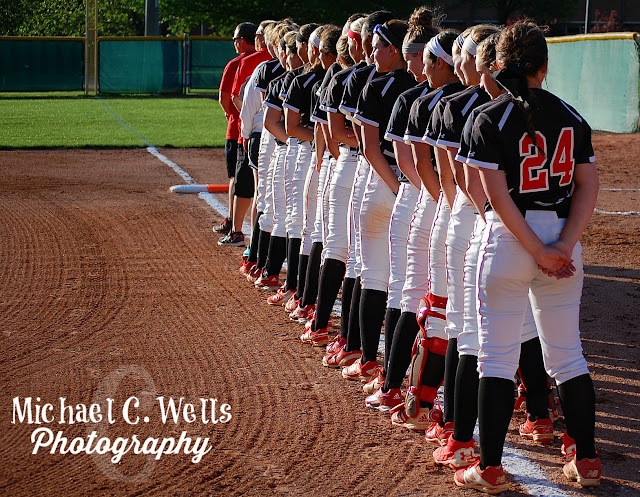 In the 4th inning, that changed for DuPont Manual. 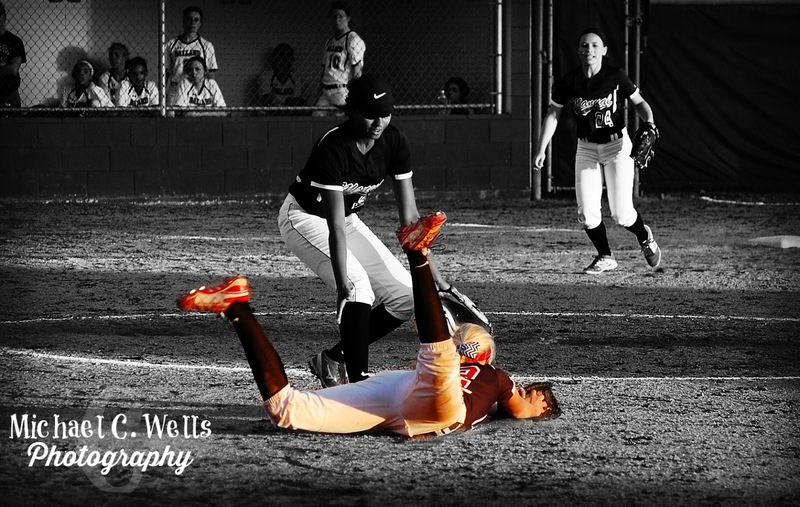 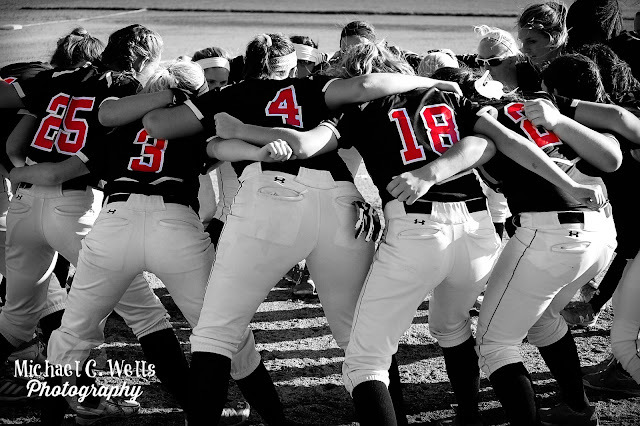 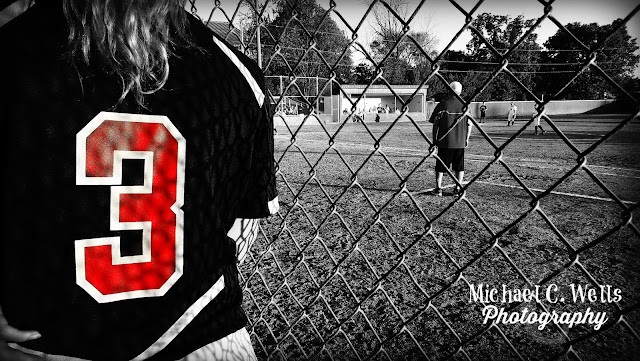 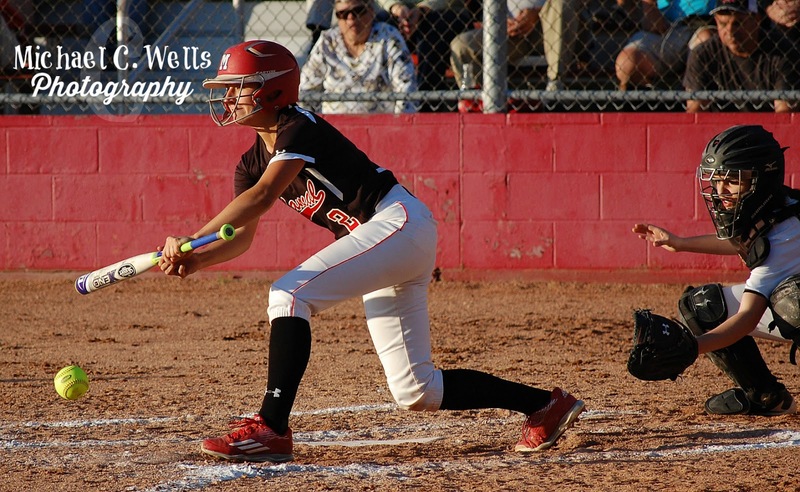 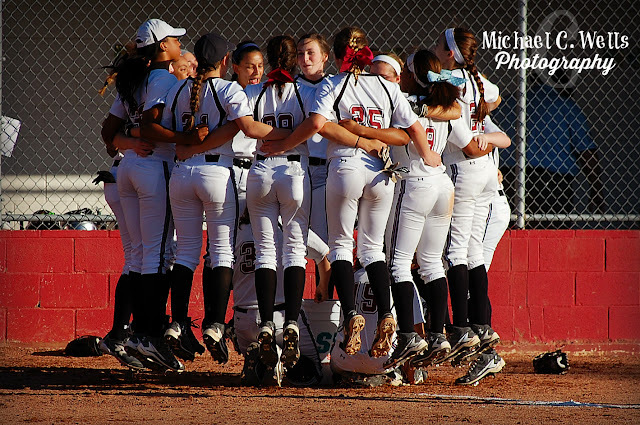 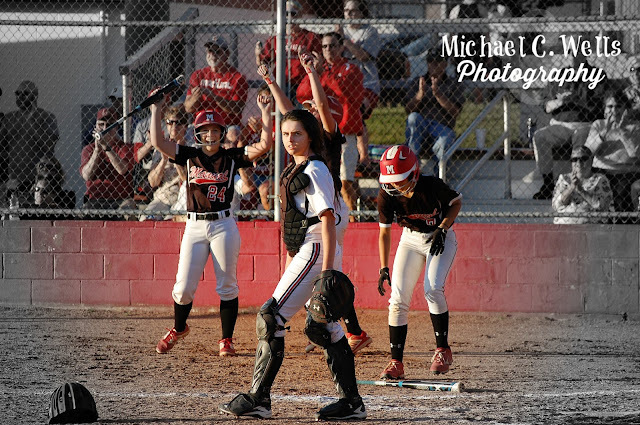 By the end of the 4th inning, the Lady Crimsons had taken the lead by the score of 3-0, and it didn't stop there. By the middle of the 5th inning, the Lady Crimsons had increased their lead to 4-0 and recorded 8 total hits against the Lady Bruins of Ballard, whom only had improved to 3 hits. 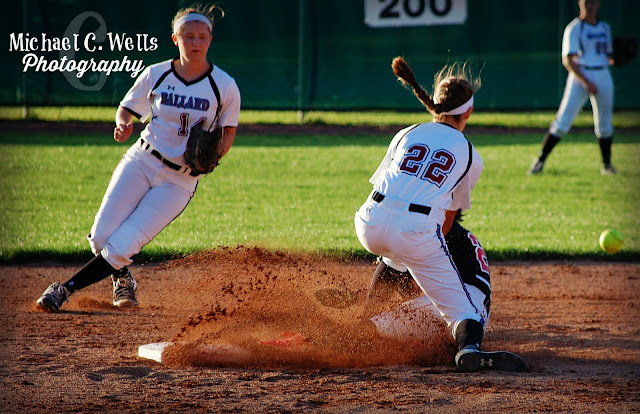 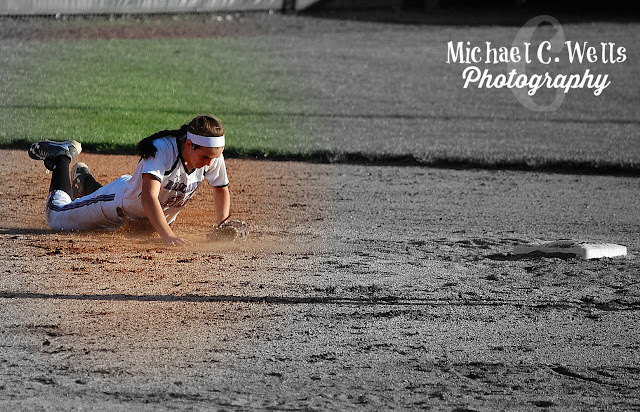 Small infield errors were not helping the Lady Bruins, as two players would go for the ball, but neither actually calling it or picking it up, allowing bunts to turn into base hits rather than just runner advancements. 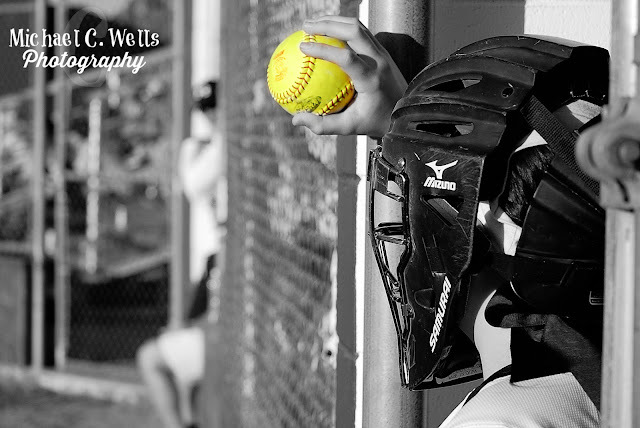 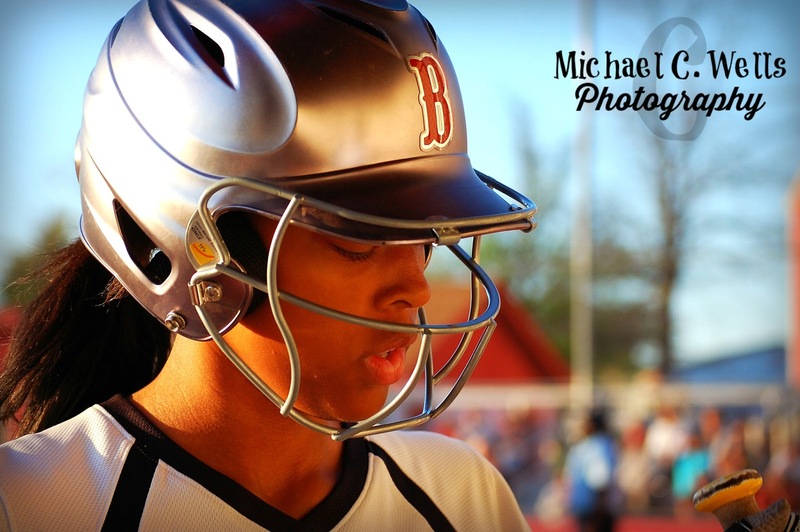 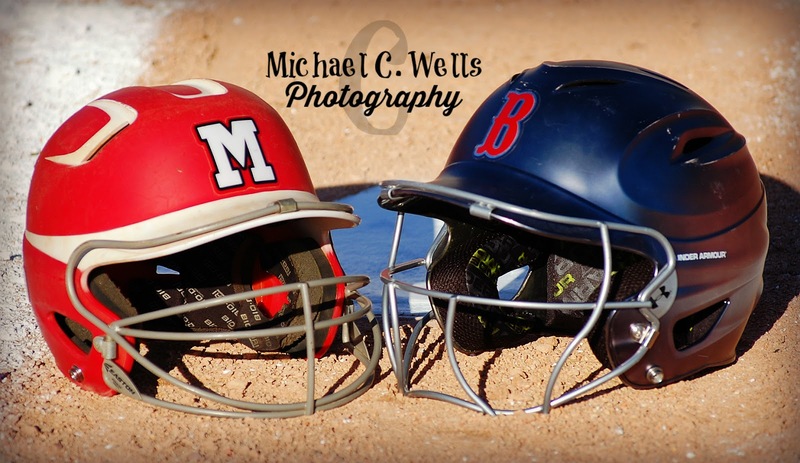 The DuPont Manual Lady Crimsons claimed victory in the end as Pitcher, Madison Williams pitched a 4 hit shutout verse the #5 Ballard Lady Bruins on their own field. 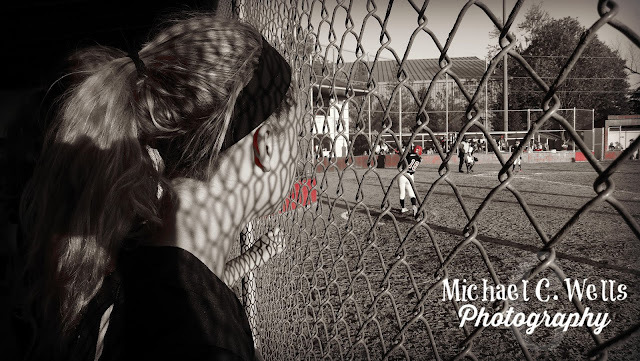 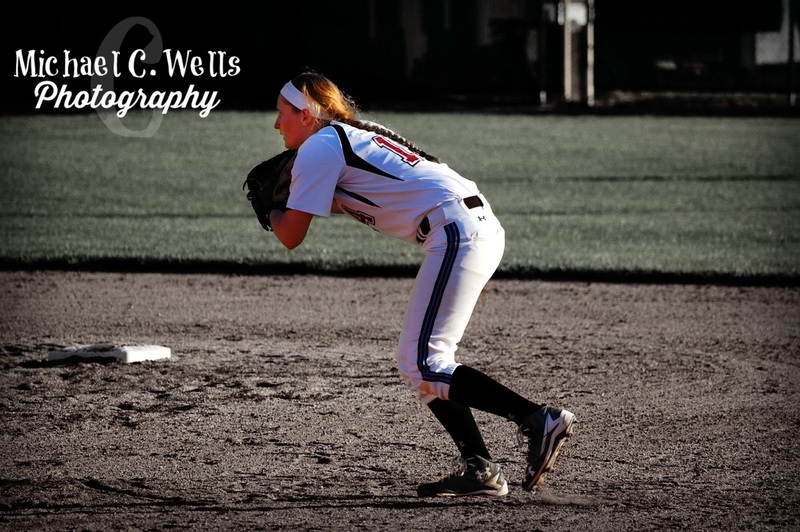 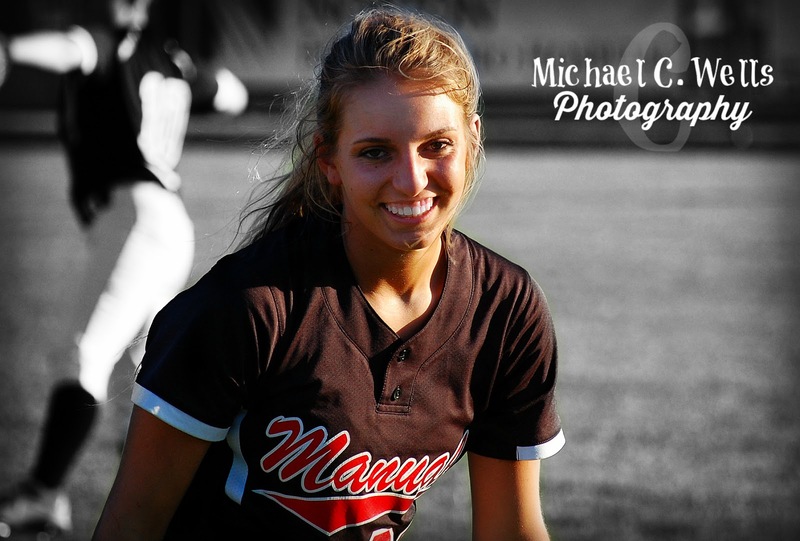 Before the game, we spoke with DuPont Manual Outfielder, Jamie Macaluso. 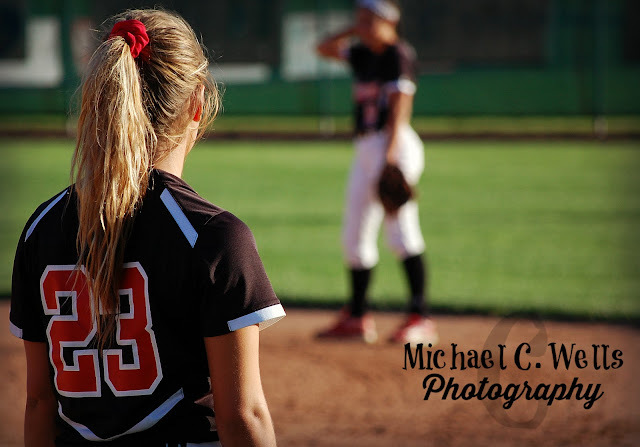 #23 Macaluso told us to expect a close game between two fairly equal teams, but nobody saw the amazing shutout performance coming that followed that interview. 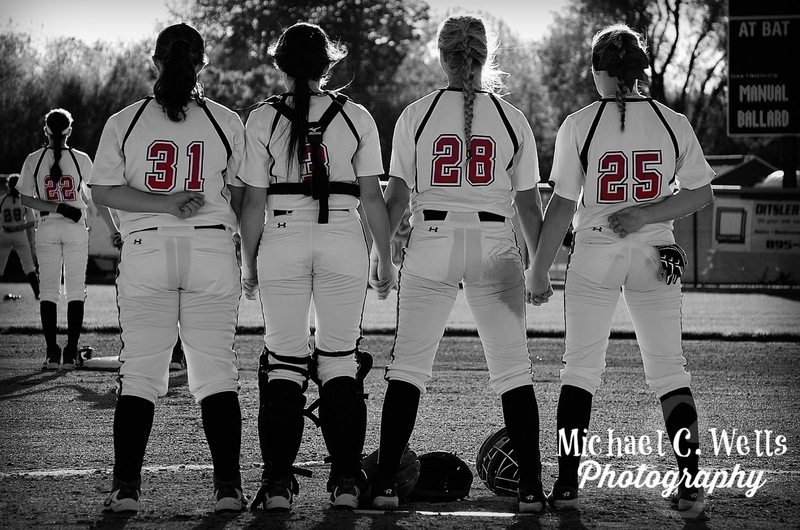 Here are some other memories we captured from tonight's shutout performance.